Net content: 80g. Ingredients: water, petrolatum, jojoba seed oil, calcium hydroxide, disodium EDTA, etc. Efficacy: rapid hair removal, painless hair removal, no irritation. Wait 5-8 minutes (depending on the thickness of the hair) and then use a towel along the hair in the opposite direction gently wipe, and then clean with water. For Sensitive Facial Areas. Unique Facial Formulation. Follow the directions for use, first test product on a small patch of skin in the area you wish to treat. If after 24 hours there is no adverse reaction, proceed with full application. In addition to giving you perfectly shaped brows, the Hollywood Browzer can also be used on the rest of the face and body. Anywhere you have unwanted hair, you can use it there! - Upper Lip Hair - Peach Fuzz/Side Burns - Chin Hair - Uneven hairline - Shaping stubble - Back of Neck - Knuckles - Toes - Bikini Line - Stray Hairs - Does not encourage heavy or harsh regrowth - Each Browzer lasts 2-3 months. Hair growth prevention cream. Rich in powerful natural ingredients that together penetrate into the hair follicle and block the action of proteins and amino acids, which are essential in the formation of hair. Veet 3 Minute Hair Removal Cream Normal Skin has been specially designed for Normal skin. Girls, don’t get caught out with stubbly, hairy legs! Veet’s 3 Minute hair removal cream is all it takes to banish the fuzz in a flash! Reduce hair density and activity. Prevent body hair from getting thicker and darker. 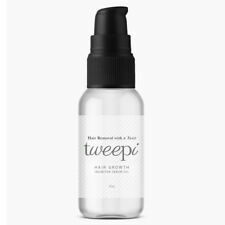 1 Hair removal repair essence. Import Duties. You can follow below process to chontact us. Ingredients: Water, mineral ester, jojoba seed oil. Calcium hydroxide, stearic acid polyether-21 ,etc. 1 X Body Hair Removal Cream. Net content: 60g. Color: White. Product Size: 12.5 5.4 3.4cm. Depilatory Cream for Effective Hair Removal. 1 Depilatory Cream. 1 Plastic Scraper. Soften the hair roots and easily get rid of hair. Net Weight: approx. Note: The real color of the item may be slightly different from the pictures shown on website caused by many factors such as brightness of your monitor and light brightness. Hair Removal Cream Full Boby Leg Pubic Hair Armpit Pudendal Depilatory Paste. Hair removal cream is a quick and effective way to remove body hair, leaving your skin feeling. Before the shower,apply the cream evenly so that it covers the hair to be removed. The hair is then easily removed under the shower with a sponge or washcloth, leaving you looking clean & feeling smoother for longer. Do not swallow. Always read precautions before use. Skin must be dry and clean. As the ultimate natural solution for unwanted body and face hair, it can be. delay re-growth of hair while increasing the quality of the skin texture. Test a small amount on inner side of your wrist before usage. After cleaning, apply proper amount of this product, evenly apply to the skin after depilation, gently massage until the essence is absorbed. 1 Hair removal cream. Suitable for skin type: all skin types. Man's most delicate parts due to its Ant Egg Oil content and contributive actives. It is suitable for the whole body including. improving the quality of the skin texture on the applied areas. Depilatory mousse left in the hair for 6 to 12 minutes, depending on the thickness thick juvenile hair can be, at least five minutes, after all, it is a light-type. To spray the legs and hands, work with up and down fast-moving action in order to ensure a uniform spraying mousse for hair removal on the website. Soak the area that needs to be depilated with warm water, evenly apply the depilatory cream to the desired part, cover the hair root (about 2mm thick) for 5-10 minutes, scrape it off with the scraper inside, and then wash it. 1 Hair removal cream. Suitable for skin type: all skin types. Net content: 60ml. Keep this product out of the reach of children. 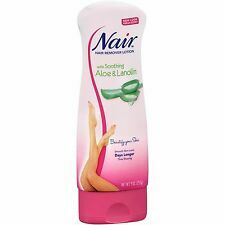 Nair Sensitive Hair Removal Cream 80ml 3 Tubes. Brand new Description sensitive skin, this Nair cream gently but effectively removes unwanted hair from legs, bikini are and underarms. With Camellia Oil and Ylang-Ylang, Nair helps moisturise and exfoliate your skin while it removes hair, leaving it soft and smooth to the touch. Using the curved part of the spatula, spread the Veet Cream evenly to fully coat the hair. Leave the cream on your skin for 3 minutes, and then use the spatula to gently remove a small test area of cream. Other Policies If item is defective after 3 months, you can still send it back to us. We will send you a new one after receiving the defective item. Keep out of children.Do not use BenGay after the expiry date Keep BenGay at temperatures below 25 ° C.
Usage amount should be fully covered with body hair(about 2 mm thick)and keep for 5-8minutes(depending on thickness of body hair). Gently wipe with a special tool(or use a towel) along the opposite direction of hair growth，and then clean with water. It can also be safely used on any other parts of the body. This fast and painless hair removal cream is as easy to apply as it is effective at eliminating the appearance of unwanted hair growth on the face & body. Before showering, apply a cream evenly over the hair to be removed. Keep the cream for 3-8 minutes (depending on the texture of the hair). 1 Hair removal cream. Net content: 125g. You can follow below process to chontact us. Gentle hair removal- Gentle plant extracts in this hair removal bubble could relieve skin irritation and shrink pores without painful hair removal. Long last smoothness – This Hair Removal Spray removes body hair from roots, keep skin silky and supple. 80g Painless Depilatory Hair Removal Cream For Body Leg Armpit Unisex Beauty. Step 3:rinse with water. Step 1:hair removal cream on the skin. Type: Hair Removal Cream. Gentle composition, does not harm the skin. Item Type: Hair Removal Cream. 1pc Hair removal cream. Makes the skin satin smooth and silky soft. Delays hair growth back. Unusually delicate for the skin. No risk of skin injury! The smart way to achieve smoothness that lasts.